Kerala's blessed with a lot of resources - natural beauty, lush vegetation, fertile soil, water and human resources. While it has been somewhat of a slow starter in fostering industrial development of any kind, efforts are being made to make up for lost time. The IT/ITES industry arrived relatively early in Kerala, relative to India that is, in 1990 with the inception of Technopark. While progress thereafter has been a little lackadaisical mostly due to the failure of successive Governments to grasp the opportunity and take it further, Kerala's IT industry, spearheaded by Technopark, has been growing at around 40% annually, much faster than the rest of India, since 2003 or so. Moreover, Kerala has led the nation in terms of the roll-out of ICT into the Community (Akshaya, IT@School and FRIENDs being two prime examples) and Government (e-Governance). So we have not done as badly as many people would like to claim. Across India, the vast majority of the IT/ITES industry - over 90% of it - is focused in a handful of States - Karnataka, Maharastra, NCR, Tamilnadu, Andhra Pradesh and West Bengal. Each of these States has a well-developed IT hub, the respective State Capital (plus Pune in the case of Maharastra). Secondary hubs are developing in States like Tamilnadu and Karnataka while new States like Gujarat, Rajasthan and Orissa are aiming to join this club. Primarily through Trivandrum and to a lesser extent Cochin, Kerala is on top of this new pack. Trivandrum, with an estimated Rs 2500 Crores of IT exports in 2008-09, probably leads the pack of cities like Mangalore, Bhubaneshwar, Chandigarh, Jaipur and Mysore which are usually referred to as "Challengers", chasing in the heels of the Tier I IT hubs. Kerala's IT exports are likely to top Rs 3000 Crores comfortably this year. In parallel, there are a number of key projects planned in Kerala to develop IT infrastructure such as the expansion of Technopark and Infopark, Technocity, Cyber Park in Kozhikode and the development of six District IT Parks. Thus, we are looking at a great opportunity for Kerala. However it has not all been plain sailing. The effects of the global economic melt-down cannot be under-stated in terms of affecting the growth rate of the IT/ITES industry. But it is not the only obstacle in way of Kerala's development into an ICT powerhouse. While the long term aim of developing the IT/ITES industry across the State is laudable, there remains the risk of jumping the gun. In the case of the other IT States, the development of a single hub - be it be Mumbai or Bangalore - has been the starting point for the development of the whole State. The State's brand has been built around that key city, which has enabled the development of a critical mass of IT/ITES firms. This has allowed recognition of the other cities in these States on a world-wide basis (eg: Mangalore is the second city of Karnataka after Bangalore, doesn't that ring a bell?!) as well as the expansion of firms based in the primary hub into the secondary cities, which is much easier than bring brand new firms into these smaller cities. In the case of Kerala, while Trivandrum accounts for about 70% of the IT industry in the State, its total is still a measly 1% of the national total. Thus we have yet to develop even our primary hub into a competitive destination. States like Gujarat and Rajasthan, are focusing on developing their respective primary destinations - Ahmedabad and Jaipur - into major centers before looking at spreading the industry out to other cities. Kerala, on the other hand, is already looking not just at Tier - II destinations like Cochin or Kozhikode, but at Tier - III ones like Kollam, Alleppey and Kannur. This could be a dangerous loss of focus. Moreover, the model of development of these facilities has yet to be frozen. In the beginning, most of the investment was directly from the Treasury in the form of grants. About Rs 150 Crores was spent in Technopark and a smaller sum was later spent on Infopark. Later, commercial loans were also tapped as the parks developed significant revenue streams from rentals and as the Govt. became increasingly incapable of footing major capital expenditure. Recently, the PPP model has been seen as the most viable. Accordingly, the Govt. created KSITIL, a Special Purpose Company to develop IT infrastructure across Kerala, primarily the giant Technocity project and the district IT parks. KSITIL was intended to raise public equity and debt to fund these projects and to manage them. However, as I had detailed in my post on KSITIL, the company is yet to take off, and its projects have now been made the responsibility of Technopark and Infopark, and the still-on-paper Cyber Park. These are already burdened with their own development projects and have neither the financial resources nor the management bandwidth to manage projects totalling over Rs 10,000 Crores of potential investment, spread over 1000 acres of land. And we cannot ignore the fact that while they are competing for a limited market with their own progeny, and a conflict of interest cannot be frankly ruled out. Thus, it won't be out of context to say that the plot seems to be a little bit lost. The Government of Kerala has embarked on a "God's Own E-State" campaign to try and imitate the undeniable success of the signature "God's Own Country" campaign of the Tourism Department. A good idea is what it seems like on the surface, although nothing much has transpired as of now. The campaign has to make for a lot of lost ground, more than 15 years worth, when the marketing effort for Kerala as an IT/ITES destination was sadly almost non-existent. The lack of a strong city brand will be an impediment, but that is one short-fall which can be quickly corrected by focusing on Trivandrum and Technopark. Focusing on ten different destinations may not cut much ice. A strong brand must be complemented by an equally capable team to execute not just the brand promotion campaign but to handle every aspect of the project - business development, funding, project management and operations & maintenance. This is where a dedicated team has to be immediately built up with people having relevant experience. This is, I would say, the very first step. As important as building up a capable team is to ensure that the team has complete operational and at least limited strategic freedom. Appointing an independent CEO for KSITIL will be a good start in this direction. This new team could possibly work very closely with the existing personnel in Technopark and Infopark till they understand the local scenario in detail. Since KSITIL is proposed to raise 49% of its equity from institutional and individual investors, it will be essential to have an independent leadership and manpower base to ensure good corporate governance and attractive financial performance. The harnessing of new resources is already mandated by the way that the small management teams of Technopark and Infopark are being stretched in implementing their own expansion plans. Technopark is looking to develop 100 acres of land in Phase III while Infopark intends to acquire more land in the near future. It has taken these teams several years just to develop their existing portfolios and the same pace will not be sufficient if the Government's ambitious growth targets are to be met. The right model to follow will be to have a matrix-type organisation where there are project managers looking after each IT Park project - one for Technocity, one for Kollam, one for Ambalapuzha etc as well as functional managers such as engineering, marketing and finance people who may look after one or two parks and administratively report to the project managers of each park. In this way, each project (or rather park) manager becomes a CEO in his own right. This model will allow the individual parks to make the best use of their respective USPs, while remaining under a state-wide umbrella brand. The parent organisation then has the freedom to promote the umbrella brand and then assign investors to each park based on a best fit principle. The new IT parks planned in Kerala are a diverse lot, as diverse as our State itself can be. From the relatively mature destinations at Technopark and Infopark, to a massive integrated facility in Technocity to smaller, low-cost centers in the other districts. A bewildering array of sizes, types and features, this portfolio of parks surely cannot be marketed under the same plain-vanilla classification, but the variety itself can be turned into an advantage. The sheer variety of locations often seems to have bedazzled even the experts. 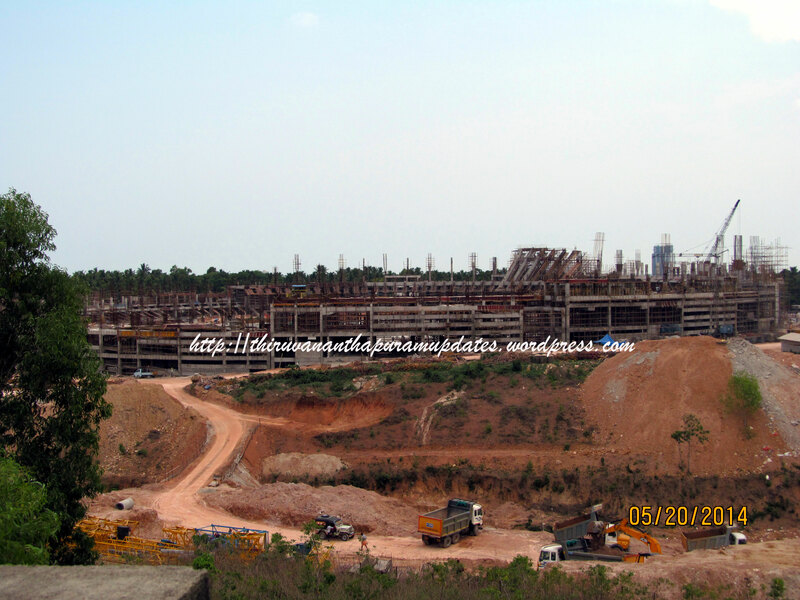 They have labelled the proposed IT park at Ambalapuzha as a "water theme park". Wait a minute, aren't water theme parks supposed to for kids, with water rides and cartoon characters? Physical connectivity - An airport within an hour's drive, at least for the clients, who need to be impressed all the time, if not the IT personnel themselves. Knowledge Network - Research and developments in the location which can work synergistically with technology firms. Eg: CDAC or IISER in Trivandrum. This is because not every IT/ITES/technology company is the same in what it does or what it wants. A big multinational like IBM or Accenture may give high precedence to the quality of the available infrastructure, talent pool, social infrastructure and physical connectivity, while a domestic major like Infosys or CTS may give go in more readily for its own campus but still emphasis on the talent pool and physical connectivity. A Small or Medium player such as IBS may give top importance to the total cost of operation (TCO) which includes the cost of living and may be ready to compromise on the physical connectivity and social infrastructure. A specialised research or technology firm like Google would give top priority to a high-end talent pool and the existing knowledge network in the location. Thus, a big 5 MNC would prefer to set up shop in ready-built space at Technocity while an Indian major could set up its campus in one of the three major cities. Indeed, this is already the case. However, smaller firms would be ready to look at destinations like Kollam or Thrissur, which offer lower cost but are not too far from airports or major cities. This means that each of our IT parks could have one or more segment of client suited to it. It is just a question of matching the right supply to the demand. This is one reason why a single agency, such as KSITIL, should handle the entire portfolio. Other wise Technopark Kollam and Cyber Park Chimeni may be competing for everything under the Sun whereas each may have its own target segment which may go unaddressed in the end. Thus, a "Best-Fit" matrix can be created to decide the optimum allocation policy at the State level. The necessity of building up a strong IT brand for Kerala calls for developing existing strengths. Kerala's IT hub - Trivandrum - has to be built up quickly till it becomes a destination next only to the current seven cities which lead the IT wave in India. It has to maintain and grow its lead in the cluster of Tier - II destinations and sort of become a Tier 1.5 destination as Pune was for a few years before it graduated to the big league. It is necessary to create "recall" in the minds of IT investors by bringing in the big names in the industry. Concentrating the development in the initial years will help to build the brand faster. If successive Governments had focused on promoting Technopark as destination instead of trying to diffuse the IT industry, Kerala would today have a strong IT brand with a city as easy to recall as Pune or Hyderabad. It is not too late to do that still. Technocity offers Kerala a chance to develop a signature technology cluster like Electronics City, Whitefield or Hinjewadi. Up to 20 million sq.ft. of business space can be developed in this gigantic 450 acre facility along with world-class social amenities. The absence of "developed country" social infrastructure like malls, hotels, pubs and what not has often been quoted as a reason why many employees balk at shifting from Tier I to Tier II cities despite the many other advantages. An integrated development like Technocity which follows the "walk to work, play and life" could quickly solve that by providing every conceivable facility within walking distance of the IT parks. Thus it could be a show-case project which can be used to position Kerala as a destination for the entire spectrum of IT professionals. But the main reason for a phased roll-out of the IT park projects lies elsewhere, in a much more tangible problem. The Government expects over Rs 10,000 Crores of investment in its IT park projects on a PPP basis, over Rs 6000 Crores in Technocity alone. However, as per the current estimate, the Government itself would need to invest around Rs 1000 - 1500 Crores in setting up the basic facilities in the new IT parks over the next two to three years. While this year's budget has allocated Rs 350 Crores for development of IT infrastructure, it is doubtful whether anything near this sum can actually be provided by the already-stretched Treasury. The Government's initial plan was to raise some of this outlay by selling 49% in KSITIL but the stock market crash has made this a non-starter. And since KSITIL is yet to build up any cash-flows, it does not have the balance sheet needed to raise any significant debt from the market either. Therefore, most of the expense till date has been raised through Technopark and Infopark. But this strategy may not be sustainable for long as the two organisations are already saddled with hundreds of crores of debt! To take the development of IT infrastructure forward, the critical thing is to create a healthy cash-flow for KSITIL so that it can raise funds through both the equity and debt route. This means KSITIL must create and lease space at the earliest. As we have seen, most of the district IT parks will need time to develop themselves as viable investment destinations, which means the only way to get going is to find an anchor investor for Technocity. For example, if the PPP venture develops 5 million sq.ft. of space over the next 5-6 years, we could be looking at an annual revenue stream of about Rs 180 Crores. The Net Present Value of this cash stream would be an attractive reason for investors to become interested in KSITIL. In this manner, the funds needed for the development of the other parks can be raised from the market. Just as every trough of a wave is followed by the crest of the next, recessions are followed by development booms as more efficient firms step up their production. Just as surely as we are all hurting from the recession, there will be a surge in demand at the end of this period of contraction. Kerala has a unique opportunity in that the policy for developing IT infrastructure and some of the key preliminary steps such as the acquisition of land are already in place. All that we need is a strong will and a clear time-bound strategy to seize the opportunity. Because it is one opportunity that we no longer can afford to miss.